The famous motivational speaker Zig Ziglar fell last year and hit his head. His son Tom said, "Dad fell down the stairs and experienced a serious concussion. Suddenly, life was very different. Dad at 80 years no longer moved with the energy of a 65-year-old man. Almost overnight he aged 15-plus years and began the struggle to overcome and live with a brain injury." Falling is a serious hazard as you age. Falls can lead to head injuries, internal injuries, and bone fractures, especially if your bones are weak. The key to avoid falls is to keep your balance stable and under control. There's no known drug that can help you with that. Supplements can help you keep your muscles and bones strong, which helps with balance. But nothing helps you keep your balance like exercise. And a new study says the best form of exercise for balance is Tai Chi. This was a large study on 702 people living in an active adult community. All of the participants were over the age of 60. The researchers randomized all of them into two groups. The first group did a 16-week program of community-based tai chi classes of one hour per week. The second group (control) was on a waiting list for the class and didn't exercise. The researchers followed the participants for up to 24 weeks. At 16 weeks, they measured the group for balance using six balance tests. Participants scored significantly better in five of six balance tests compared with controls. Falls were less frequent in the tai chi group compared to controls as well. Zig Ziglar found out the hard way that a fall can rob you of your life and vitality. Don't you find out the same way. Tai chi is a gentle movement-based marital art that can help save you from falling. Almost all of us, regardless of age, can benefit from such exercises. These arts can significantly improve mind-body integration, coordination, concentration and focus. I strongly encourage you to enroll in tai chi, especially if you have any questions about your balance or coordination. You can find tai chi classes at many community centers. Or you can use the tai chi video courses sold at many health food stores, bookstores, and on the Internet. 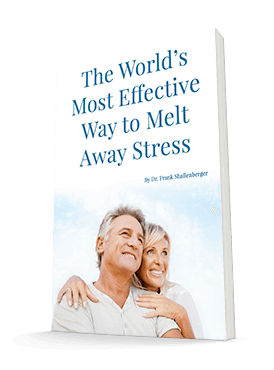 This is a risk-free therapy that can save your life! Ref: J Am Geriatr Soc, 2007; 55(8).